In places such as Australia, tea tree oil has been revered for many generations. This oil best known for being an antiseptic and is normally used as a treatment to fight fungal or bacteria infections on the feet. While tea tree oil can be beneficial against these infections, it does take a lengthy time for it work. There have even been clinical trials that had to be rejected because subjects had dropped out because the study was taking too long. For people who suffer from certain conditions such as toenail fungus or athlete’s foot, the application of tea tree oil has been shown to have significant benefits if applied twice a daily. The tea tree oil must be 100 percent for it to work. As stated before, it does take some take for results to show. It can take about six months for results, but many people did see an improvement visibly on their skins and nails earlier than the six month mark. If you are considering using tea tree oil as a remedy for your foot condition, here are the steps on how to use it properly. Make sure to cleanse the area before application. Any medicine will not work to its potential if you don’t properly sanitize the area first. You will need to clean your feet thoroughly with soap and water. The next step after is very important. You will need to make sure feet are thoroughly dry, especially in between the toe area. Fungal infections love warm, damp areas and this is where most of these infections thrive. If you are dealing with nail fungus, make sure to remove any polish and slightly buff the nails so the oils can penetrate better. If you buff your nails frequently, make sure replace the files as they can carry the bacteria or fungus as well. 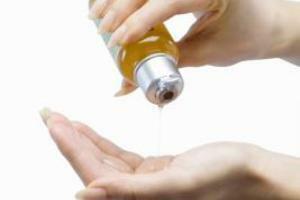 Apply the tea tree oil, twice daily to the infected nails or area. Be consistent with these applications if you want results. While the visible results may appear rather quickly, it does take at least six months for the fungal infection to completely disappear. 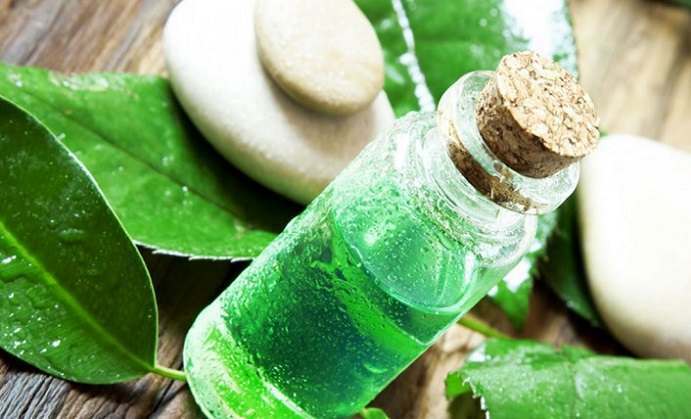 If you find that your skin is getting more irritated with the tea tree oil, it may be too potent and you will need to dilute it with another oil or water. After the application of the oil, let it sink in and let the toes air out for at least five minutes. Remember that moisture will only help make the infection worse. Besides the application of tea tree oil, make sure that feet are constantly kept clean and exfoliated as well. Using a foot brush or an exfoliator in the shower will remove any dead skin that can breed the fungus. If you are dealing with a nail fungus, make sure that the nails are able to breathe, this means no polish on them until they are healed, and keep them trimmed. With some patience, you can get rid of your fungal infection with a natural remedy like tea tree oil.